Durable, long-lasting, rust-proof – these aren’t the sort of things you hear people say when they’re talking about an outdoor grill. Most of those charcoal grills you’ll find on the market these days are quick to use, quick to rust models you have to replace every year. 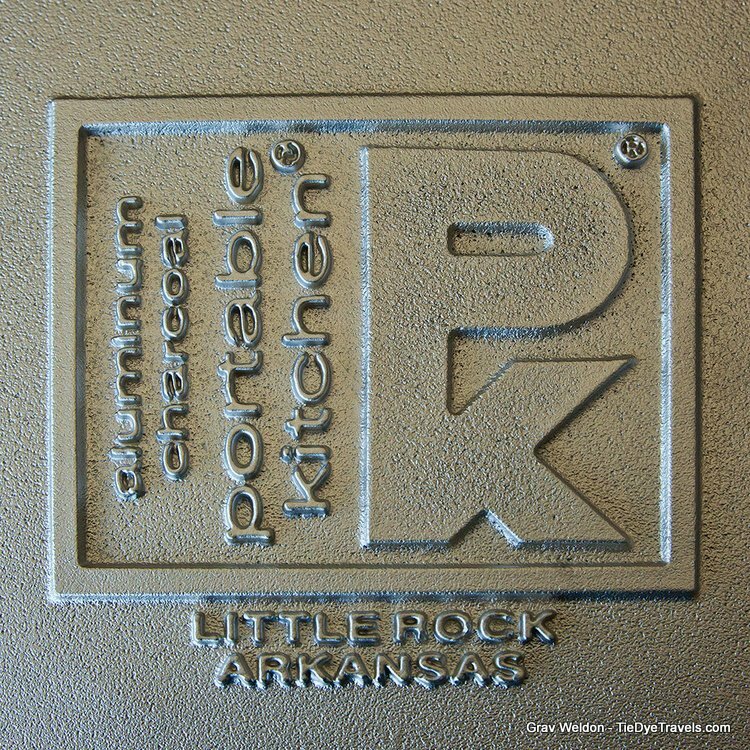 But a PK Grill and Smoker lasts a lifetime, and they come from Little Rock. 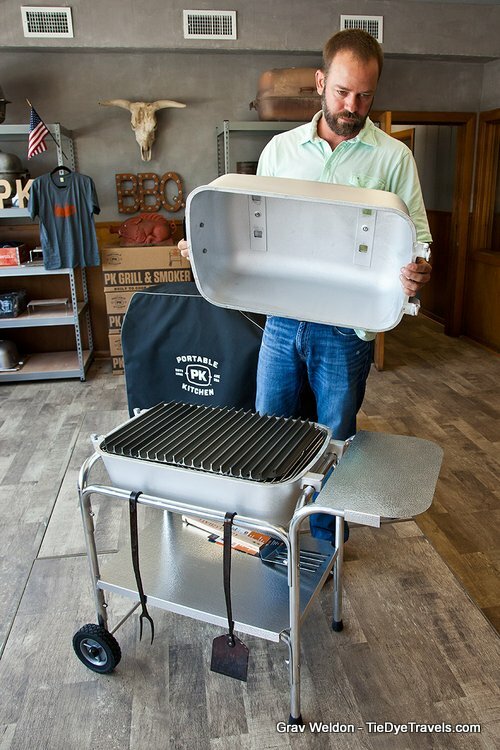 The first PK Grill was created by Hilton Meigs in Tyler, TX back in 1952. Meigs wanted to create something that was lightweight but also elongated, so it could be used both for direct heat and for smoking. He came up with an oblong aluminum capsule straight out of the Space Age, a hearty two-piece cast creation that sat on a frame and held a grill within. His creation was magnificent. Meigs went from place to place and sold the grills out of the back of his car. 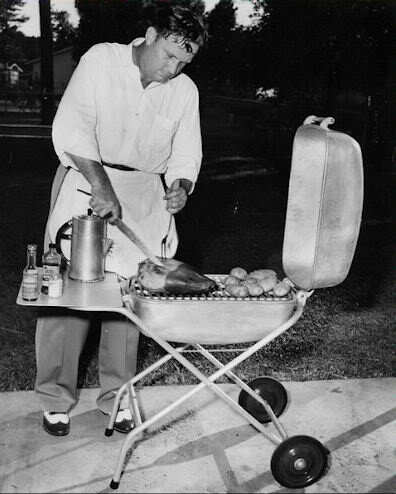 He called it the Portable Kitchen Grill, which was soon shortened to PK Grill. The grill’s Arkansas history begins in 1960, when Lewis Hamlin bought Meigs’ business and brought it to Little Rock. 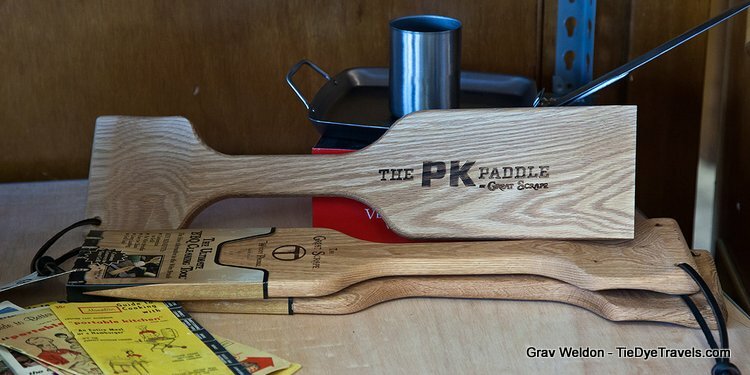 For more than a decade, PK Grills were manufactured and shipped nationwide straight out of Arkansas’s capital city. 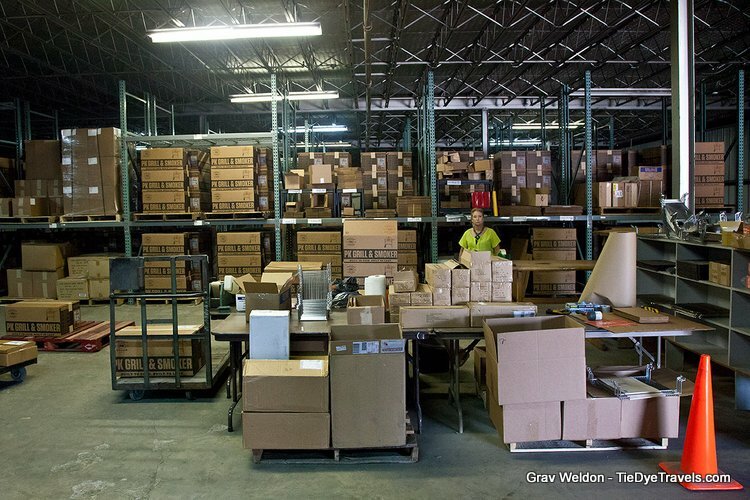 But a fire, followed by other business problems, caused the company to cease production in the mid-1970s. The company may have gone under, but the grills survived, spectacularly. The low-maintenance capsules, being cast from aluminum rather than made from sheeting, managed to survive the test of time. These were grills that weren’t thrown away at the end of a season, or even a decade. These were grills that lasted lifetimes, that were passed down from one generation to the next. You couldn’t buy them at a store but you could purchase them at a flea market or antique store. The appeal of the shape and construction weathered time. In 1998, Paul James rediscovered PK Grills. He found one at a yard sale, took it home, cleaned it up and started using it. He was so impressed, he decided it was a worthy effort to revive the PK Grill name. 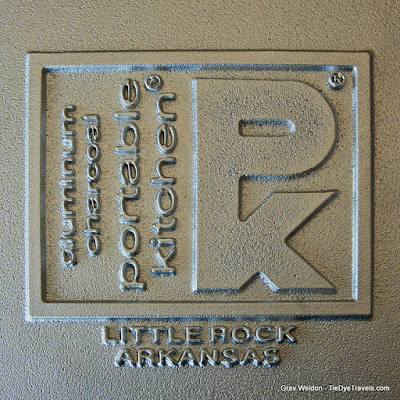 With a lot of work, phone calls, bartering and such, James managed to get ownership of the PK Grill name and logo, and started producing them in Little Rock again. A few years ago, a trio of executives at a large tech company in the city found themselves with little to do – once a larger tech company bought their company out. The three — Brian Taylor, Jeff Humiston and Scott Moody – could have started their own tech company and jumped back into the business. But each of these gentlemen was looking for a new connection to their community. They joined James in partnership and are today putting their efforts into the development, marketing and distribution of the PK Grill and Smoker. So, how’s that product? 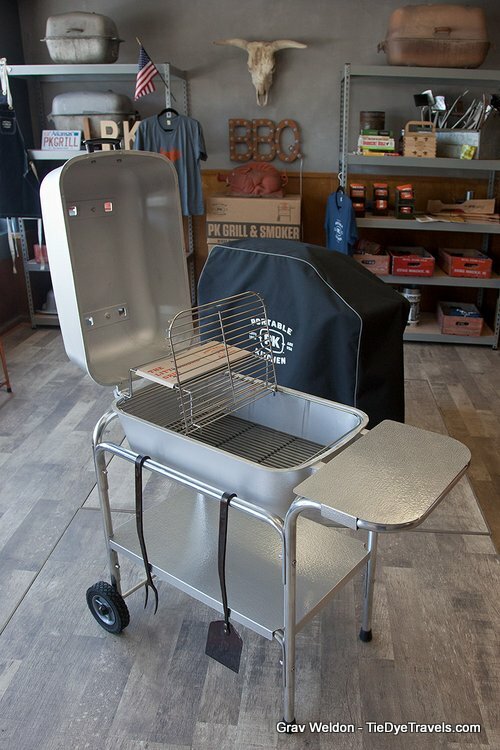 The first thing you should know is that you can have your PK Grill in any color you want, as long as it’s gray. Technically, there are two finishes, granite and classic silver. 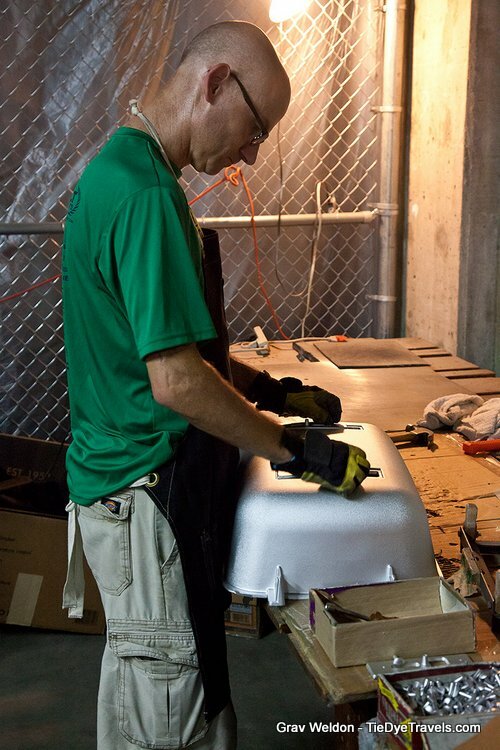 There’s no enamel or paint job on these grills, just the surface they were molded with. There’s also no difference in size, though Jeff Humiston told me on our tour of the Little Rock manufacturer’s homebase that eventually there may be larger or smaller versions available. Each one comes packed in a box with its single handle (put it on with the easy to add softwear), the two halves of the capsule spooned together with its hinged grid and its simple-to-assemble aluminum stand with shelf. 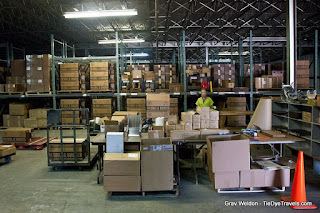 If you’re custom ordering your model, you may choose to add grill grates, an extra grid, a steel charcoal chimney, grill tool pack or grill cover to the box that will quickly arrive at your door. 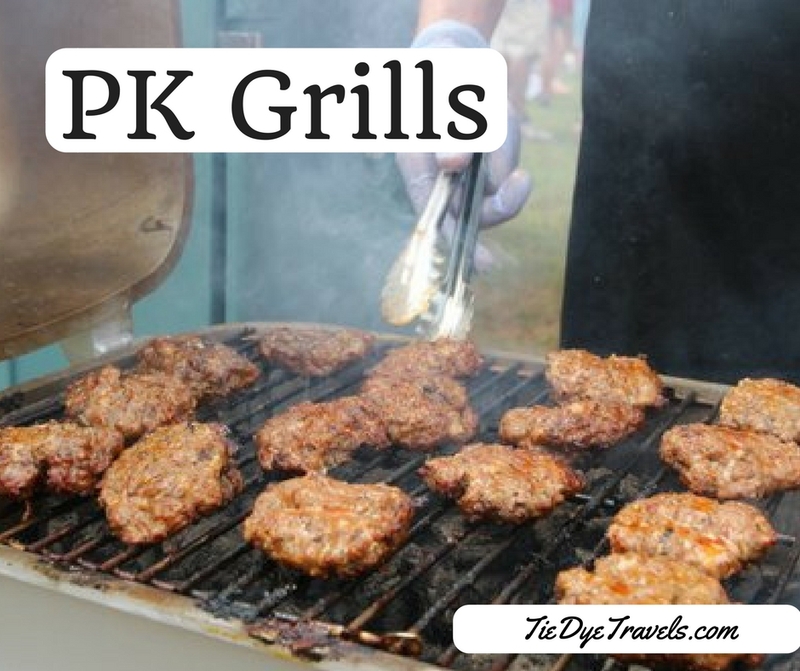 The company doesn’t offer much more than that, other than accessories such as hats and shirts to wear to show off your PK Grill pride. Two vents each on the top and bottom of the grills create the perfect cooking vessel. You can use the contraption like a standard charcoal grill and just have your grills all open. Or, by opening and closing the vents, you can create a smoker. Check out this link for all the ways to cook with the grill. The grills are simple, but they’re also simply tried and tested to be true. A lot of people out on the barbecue circuit are using these grills for their competition steaks… they’ll have a large grill for show and for cooking massive amounts of meat for the public, but the steaks that go to the judges are cooked on a PK Grill and Smoker. The reputation is growing, too. And that’s just about all there is to it. Oh, except that these aren’t your standard retail grills. You can’t get one of these at your average big box store. They’re available through a select number of retailers, including ACE Hardware stores. 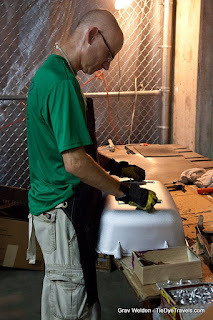 You can also just order your PK Grill and Smoker direct from the source by placing an order here. Just don’t be surprised if that great Space Age capsule is around longer than you and I.